When I was teaching in Selancar, I have always wondered how come the breakfast fried rice in the canteen, sometimes taste awesome, sometimes just so so. Until one day, I fried some leftover nasi lemak with egg. My brain went “tink”, the bulb lit up. The fried rice tasted superb because it’s made with leftover nasi lemak. And today I had some extra coconut milk from making coconut agar-agar and I was busy doing the cake, so I better cook something simple for dinner. 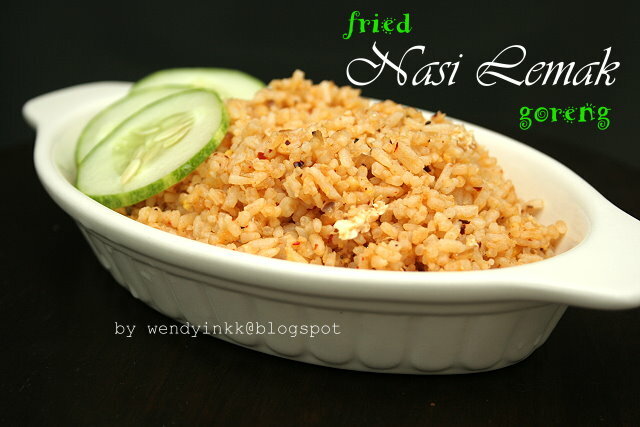 And fried nasi lemak shall be it! I purposely made the seasonings as close as possible to the accompanying sambal, except, there’s no tamarind. 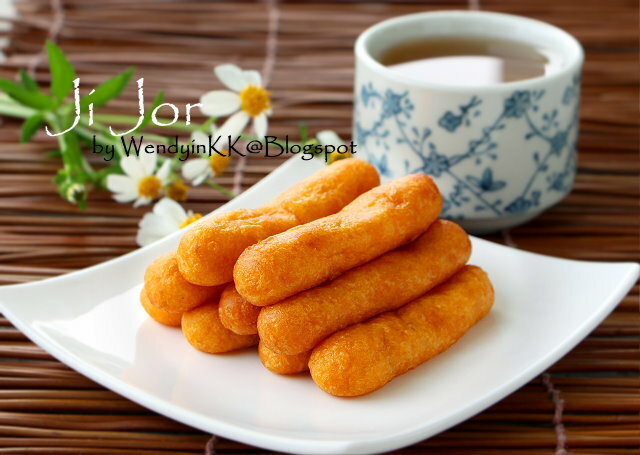 Chee Jor or Ji Zhor depends on how one is going to romanize it..It's a chewy sweet potato finger. The non-muslim community in Kuala Kangsar will know of this snack.This is sold at a small hawker stall near the town's supermarket, only available evening onwards, made by a Hokkien lady who resides few doors away from my old residence, a family friend.. It's like those sweet potato balls, but made into fingers.